A look at events in Boston and around the world. Hundreds of thousands of people braved cold, wet weather to ring in the new year in Boston, watching fireworks, musical performances and even a marriage proposal. 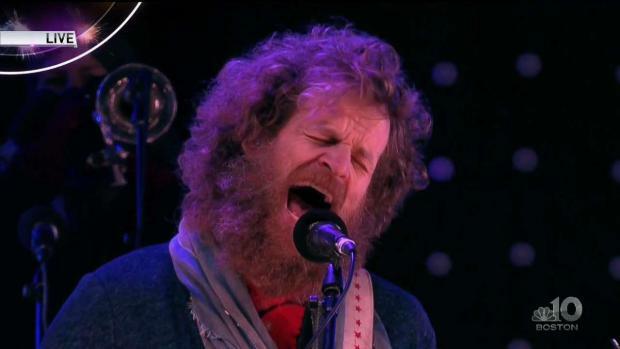 Headlined by Chadwick Stokes and The Pintos, First Night Boston brought hours of celebration. Revelers rocked out as Stokes played past midnight and into 2019 at Copley Square. Marlboro, Massachusetts firefighter C.J. 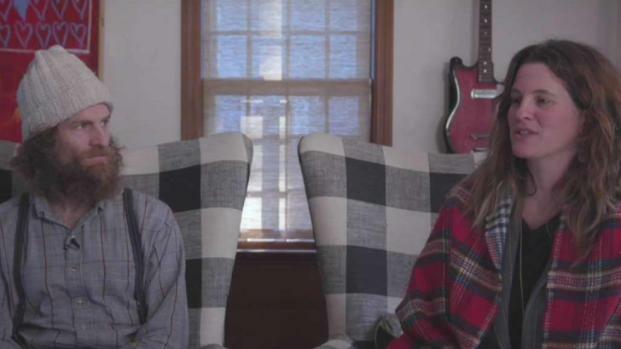 Ahearn proposes to his girlfriend, Nicole, live on New Year's Eve on NBC10 Boston! During the festivities, C.J. Ahearn, a firefighter from Marlboro, Massachusetts, proposed to his girlfriend, Nicole Bigley, live on NBC10 Boston. Stokes, who began playing 40 minutes before the new year, was one of many performers to take the stage. 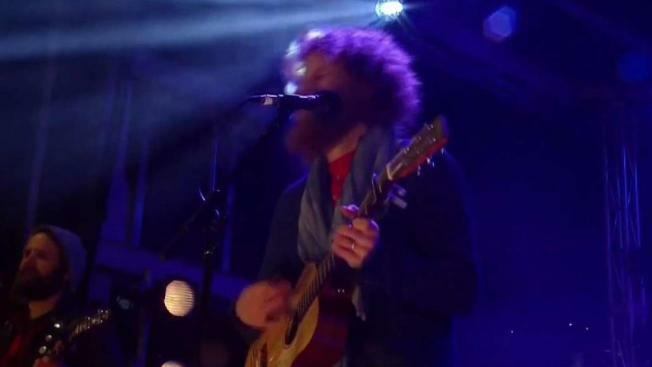 At First Night Boston, Chadwick Stokes and The Pintos performed as the clock ticked down to 2019. Earlier, former American Idol contestant Sonika Vaid, a Massachusetts native, performed, as well, talking to the audience about the weather conditions. 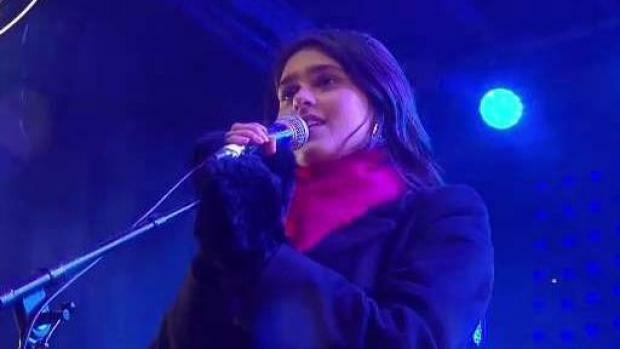 Former American Idol contestant Sonika Vaid takes the stage at First Night Boston. Another Massachusetts native familiar to television audiences, "The Voice" contestant Steve Memmolo, performed live with an acoustic guitar on NBC10 Boston. 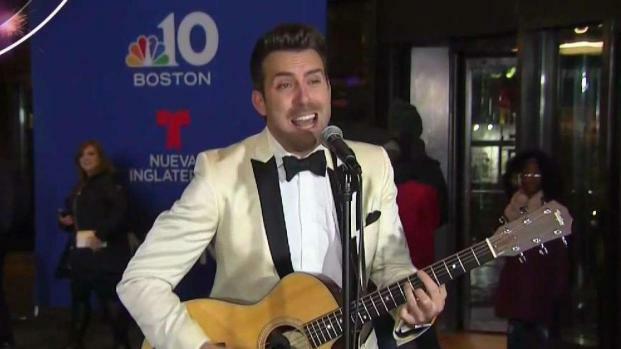 Steve Memmolo, a contestant on "The Voice," plays a song on NBC10 Boston on New Year's Eve. The First Night celebration is extra special for Bostonians, as the cherished tradition started in the Hub. "This is the 43rd year. Boston started this beloved tradition," said Dusty Rhodes, president of Conventures Inc. of Boston. The first of First Night Boston's fireworks shows began around 7 p.m. on New Year's Eve. 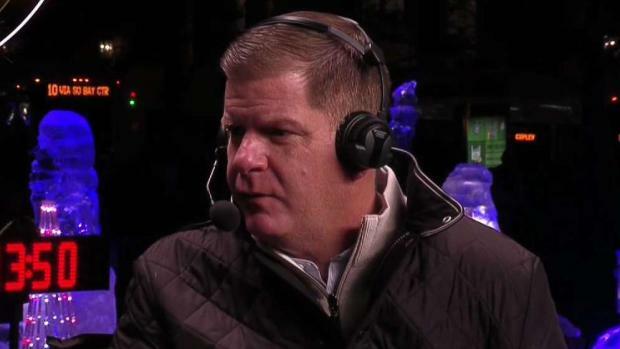 Mayor Marty Walsh gave his thoughts on the strong turnout. "I think people love to celebrate First Night, and I think a lot of people in Boston realize and know that this is the first one in the country, ever, here in Boston. We started this," Walsh said. "There's families from all over the Commonwealth of Massachusetts here tonight." At First Night Boston, Mayor Marty Walsh looks back at the year that was and ahead to the one that will be. Festivities started at noon on Monday, where Vaid offered indoor entertainment inside the Boston Public Library. Events were offered throughout the day at the library, as well as Copley Square. "Calling All Crows," the charitable organization co-founded by headliner Chadwick Stokes, is one of the organizations being highlighted by the charity partner program at First Night Boston. A new addition to the festivities is an effort to support charities, with this year focusing on helping women and girls in the area. For more information on how to donate, click here.